The Hummingbird Dual Axis Inclinometer including 0.1 degree standard sensor provides accurate incline measurement and display readouts. 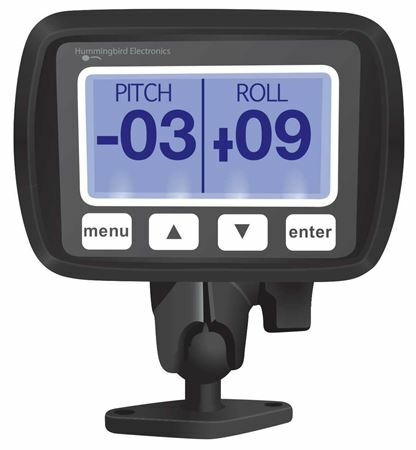 Hummingbird's Dual-Axis Inclinometer (Slope Meter) provides highly visible and configurable pitch and roll measurement and display to operators of industrial machinery. 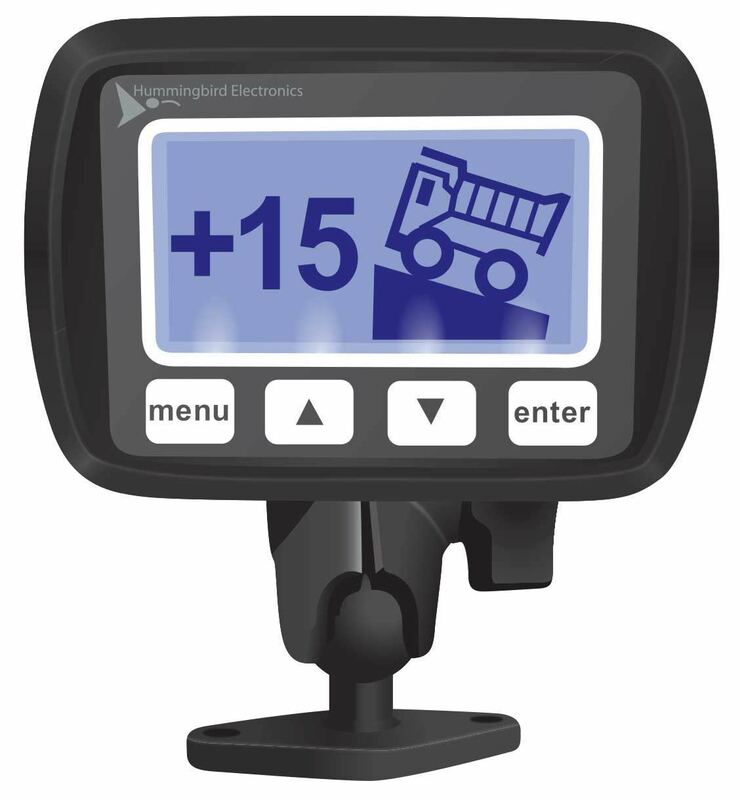 Designed for harsh industrial environments, the Inclinometer (Slope Meter) features a tough fascia with integrated buttons and LCD graphics display. Both pitch and roll can simultaneously be displayed and can optionally be made to invert in the event of an alarm or warning condition. The display is highly visible both at night and in sunlight due to the use of an industrially rated transflective graphics LCD display. Power, outputs and the sensor are connected through a Deutsch DT12 socket at the rear of the unit. The wiring loom is made from flame-retardant Exane© wire.